Kirk Hanson, NNRG's Director of Forestry, on why his family is participating in the NNRG and OSU study. The family trust lands, however, are managed as an investment that returns dividends to the heirs. Within the top three priorities for why we own forestland, which have been written into the beginning of our forest management plans, is “Conservation of wildlife habitat and ecosystem services”. This means that as important as generating sustained revenue is for my family, so is the careful stewardship of the natural resources upon which that investment depends. As important as generating sustained revenue is for my family, so is the careful stewardship of the natural resources upon which that investment depends. We also recognize that financial dividends are not the only return that forestland investments make, as they also generate the natural capital of carbon sequestration, clean air, wildlife habitat and clean water – dividends that support all of life, and my family cares about this planet and its inhabitants. To achieve the diverse objectives we hold for our forestlands, my family practices uneven-aged forest management. We thin, and in thinning we promote mixed species and mixed ages of trees. Our argument is that this builds resilience into our forests. Resilience to natural disturbance events such as storms and fire, and resilience to forest products markets. Thinned trees make way for new life. But as prudent investors of our family’s estate, we have to ask ourselves, are we managing this investment in a way that optimizes its financial return to the beneficiaries? More directly, what are the trade-offs between managing for enhanced conservation values and maximum return on investment? More acutely, what are the differences between plantation and uneven-aged management systems? I recall being asked this same question a few years ago by a forest owner I was consulting with. 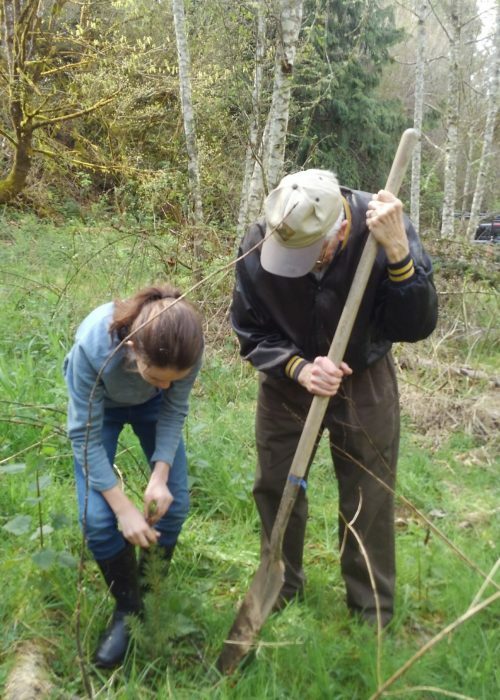 He had a couple hundred acres in young Douglas-fir plantations and I was encouraging him to shift to thinning and transitioning to an uneven-aged forest. This was an investment for him also, and he wanted to know what he would be gaining or losing by not clearcutting, replanting, and growing another short-rotation tree crop. I shrugged my shoulders and gave him the highly accurate but very unsatisfying answer of, “it depends”, then proceeded to digress into a protracted conversation about timber growth, diversifying log products, natural regeneration and other factors. He wanted something quantifiable, a percent of change, I gave him an abstract philosophy and science that truly is site specific, and hard to accurately quantify. 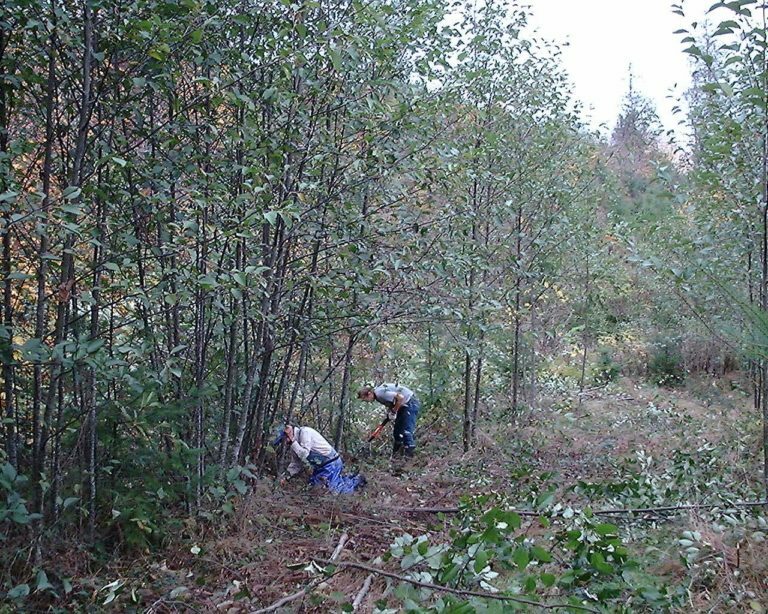 The lack of data, in particular economic data, on uneven-aged forest management systems is frustrating and likely hampers wider adoption of this form of silviculture. 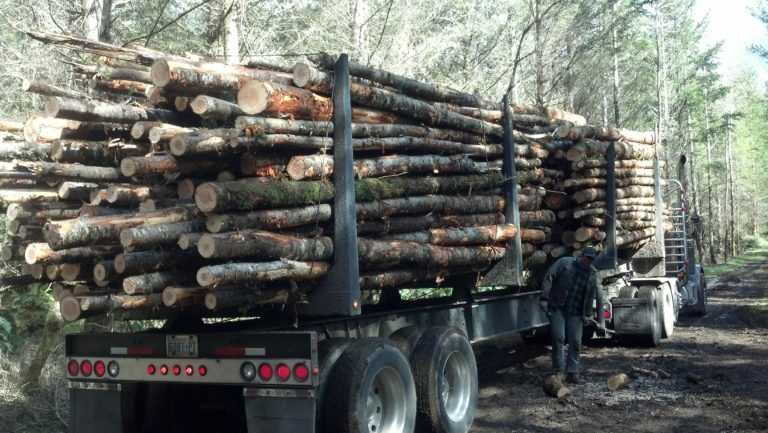 That is why Northwest Natural Resource Group, in partnership with Oregon State University, has embarked on a study to document the economic outcomes from harvests using uneven-aged forest management. 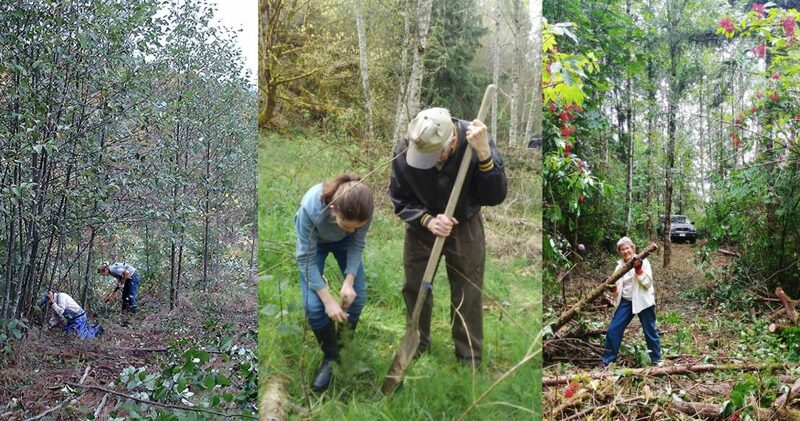 Over the course of this study we are collecting empirical data from many different forest owners across Oregon and Washington to systematically document the cost and revenue of uneven-aged forest management. Frank & Rod pre-commercially thinning young alder. My family will be participating in this study by confidentially submitting information on recent timber harvests and other costs of management, as well as forest composition, goals and objectives. This project will collate all of this data from numerous forest owners, then produce a series of summarizing reports that will provide hard data that folks can use if they are considering changing their forest management practices, or want to better inform their current approach to conservation-based forest management. This will provide my family important information to guide our future forest management, and we’re happy to participate in a study that will benefit other folks like ourselves. If you are willing to share recent harvest information with NNRG and OSU, contact Lindsay Malone, one of the project researchers, at lindsay@nnrg.org. Lindsay can provide you with the survey. PrevPreviousWhere There’s a Will, There’s a Way to Combat Blackberries!